Adat Shalom truly has an engaged Jewish teen population which cares about both their own education and the community’s well-being and growth. In total, 70% of the Jewish teens at Adat Shalom are regular participants in Jewish education and/or engagement. The teens surveyed were overwhelmingly in favor of regular Jewish learning. They asked for more education, more points of connection, and more depth. Furthermore, they want to be part of the development process. Asking the teens for their input and evaluations throughout the year led to a process of ongoing research, as well as a plan of action for the coming academic year. Teens’ interests reflected a wide range of content areas, and included topics related to social connectivity, family, life skills and personal goals. In addition, teens expressed interest in serious Jewish knowledge, especially in how to connect it to issues and concerns of the modern world. Tonight begins the week-long festival of Sukkot. As we move from the comfort of our homes to temporary structures called sukkot, for dining, relaxing, and perhaps sleeping, we are exposed to the elements and. We become aware each year of how fragile and temporary all of our structures are, and how precious our lives. On Sukkot, we recall our journey through the wilderness. It was a journey not just from Egypt to Israel, but from slavery to freedom, from a group of people to Peoplehood. This year, in the wake of three devastating hurricanes, I am grateful for the home that I have, which is standing. I recall the devastation of Hurricane Andrew, of Hurricane Katrina, of Hurricane Sandy, and I know it will take years to recover. I only have to wait a week. In the wake of a horrific mass murder, I am grateful to return to my home each day, to spend time with my family. I will not take them for granted, and I will focus on sh’lom bayit, peace in my home. In the wake of civil discord, I am grateful to live in a country where it is permitted to speak one’s mind, even when others, including leaders, disagree. Rabbi Tarfon said that it is not our duty to complete the task, but we are not free to stop trying. We must work together to build and rebuild. May we use the time of festival, also called “zmah simchatenu,” the season of our joy, to try to spread joy and understanding, mutual respect and joint responsibility. In January, we are exploring the Jewish value of k’vod habriyot, or individual dignity. The Torah teaches us to love our neighbors as we love ourselves, V’ahavta l’reacha kamocha, or to treat others the way we want to be treated. So how do we treat others with respect? How can we be upstanders, not bystanders, when others are treated wrongly? As you read the following scenarios, adapted from Living Jewish Values: Be Your Best Self (Behrman House), think about how you could handle the situation respectfully while treating the person in question with dignity. Your elderly great-aunt loves to tell stories, but tells the same story over and over. What do you do? In a cafe, the waitress doesn’t speak much English. When she tries to take your order, she has a hard time understanding you. How do you respond? When you are with your friends or co-workers and see the building’s janitor, what do you do? A classmate has some learning challenges. At recess, she asks for help with an assignment you think is really easy. What do you say? You are waiting to pay for your purchases, and the cashier seems to be treating another customer unfairly and being rude to him. What can you do? In all of these cases, we can say the wrong thing and hurt someone else’s feelings. But if we begin by thinking “how would I want to be treated if it were me” then we move toward treating others with dignity and recognizing that each person we encounter is worthy of our respect. And when other people are involved, we can step up and be an example of respectful behavior, a doogma eesheet, or role model. In February, we explore the Jewish value of maachil re’evim: Feeding the Hungry. We will be doing a series of fundraisers during our Spirit Month leading up to Purim with the goal of raising money for Yad Ezra. Feeding those in need is a significant Jewish value, and giving money to the poor is one of the mitzvot, or commandments, of Purim. We will also be doing a Food Drive in February-March. What’s happening in our classrooms? A mid-year report on Hebrew and Prayer. We are now about halfway through our school year, and I want to share some of the developments in Hebrew and Prayer that we have been exploring this year in our classes. We have moved away from Hebrew through Prayer, a concept that has been in use in religious schools for many years, in favor of teaching Hebrew and Prayer as separate entities. Our students in Pre-K through grade two learn Modern Hebrew through immersion. In addition, they are developing rote prayer skills, learning such prayers as Modeh Ani, Shema, Oseh Shalom, and others by heart. Kindergartners learn letters and key vocabulary, including synagogue vocabulary, and first graders work on pre-reading skills such as simple letter and vowel combinations. Second graders move full-force into a reading primer that introduces Modern Hebrew vocabulary alongside some prayer words. Beginning in third grade, students are learning to read Hebrew through Modern Hebrew textbooks. Students meet twice per week, for a half hour at a time, in the same leveled reading group. Rather than decoding unfamiliar sounds, they are learning vocabulary and concepts through stories and dialogue. Their reading skills are honed through this experience. Students begin learning prayer a bit more in depth in second grade, and by third grade are ready to start delving into deeper concepts. We discuss God, why we pray, how we pray, and we practice prayer together as a school and separately in our classrooms. Each grade, through the course of the school year, will tackle the deeper meanings of five to six prayers, while learning to read those prayers as well. We are aiming for depth, not breadth, each year, and we aim to engage students with the art of prayer, not just the words. And our third graders, of course, will receive their first prayerbooks at the end of the school year. Educators talk about assessment all the time. How do we know if we have been successful? How will we know if the long term goals are met, or whether students forget what we’ve taught them as soon as they walk out the doors? I’d like to share two conversations I had recently, which demonstrate that our older students are making significant connections in their Jewish learning. Last month I had the opportunity to teach our 7th graders about the Jewish Life Cycle, from brit milah to rituals of death and comforting mourners. When we discussed Brit Milah, I asked the students to tell me about the brit — the covenant — with Abraham. “The cookies!” someone remarked. They were referring to the sugar cookies that retired second grade teacher Rivkah Nachlas had used to symbolize the brit. Five years earlier, these seventh graders had each gone home with a frosted cookie covered with half star sprinkles and half colored sugar, and were told they couldn’t eat them until they explained the brit to their parents, that the cookie represented the promise of descendants numbering as many as the stars in the sky and the sands of the sea. Another day, I joined Hebrew teacher Nurit Sallen as working with a few seventh grade students on Modern Hebrew. In between practicing conversations, they were talking about the word shalom. It’s a simple word, at first. Nurit explained that Shin-Lamed-Mem means complete, whole, and peace; it appears in Yerushalayim. One student remarked that it suddenly made sense, and said “this is awesome! Why haven’t we learned these connections before?” I commented that even if we had shared the information, he wouldn’t have been ready for all of the deeper connections – the human brain is funny like that. Now, in seventh grade, the synapses are firing. When we completed the life cycle unit, we had a small party called a siyyum, a completion. I hope that as we continue to learn together, your children will want to extend their learning past this year, into the years of abstract connections and deeper complex thoughts. Let’s make seventh grade the beginning, not the siyyum, of serious and complex Jewish education. Many people still speak of our program as a “Hebrew School” or “Religious School.” What we do in the Adat Shalom-Beth Achim Learning Community, however, is so much more than the traditional Hebrew school you may remember from your childhood. We have three main goals for our program: to make Judaism accessible, meaningful, and relevant. Accessible: We bring Jewish values to our students in language they understand. We celebrate holidays together. We learn Jewish texts in modern, grade-appropriate language. Each child learns Hebrew at his or her own pace. We all learn prayers by praying together and talking about prayer and God in our classrooms. We work closely with Opening the Doors, a project of the Jewish Federation of Metropolitan Detroit, that enables us to have a full inclusion program for students with special learning needs. Meaningful: After we ensure that students have access to the material, we are then able to help them find personal and communal meaning in our shared history and culture, celebrations, language, and values. Through family programs and experiential education, concepts go beyond the textbook and become personal. Relevant: It is not enough to make meaning. 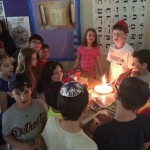 It is crucial that we help our students connect their Judaism to their everyday lives. We do not have Jewish lives and Everyday lives; rather, we live our secular lives Jewishly through our actions, beliefs, and values. We bring secular challenges to our Jewish lives as well, and together, especially in our upper grades, we learn to navigate the world together. Accessible, meaningful, and relevant. Register your Pre-K through 7th grader now! Registration forms available on our website and in the office. New students always welcome. Have a child entering Preschool in the fall? Children who will be 3 or 4 in September are invited, with a parent or special guest, to join our current preschoolers and their families for a special program on Friendship & Community. Membership is not required, but advance registration is to dbanooni@adatshalom.org or 248-626-2153. The program is Sunday, May 3, from 9:15 to 10:30 a.m.
Have a child entering Kindergarten in the fall? Children who will enter kindergarten in the fall are invited to join our current and rising kindergartners for a Kindergarten Roundup – Taste of Kindergarten. Children will take part in a typical morning on Sunday, May 3, from 9:15 to 10:30 a.m. and learn firsthand what it’s like to be a kindergartner at Adat Shalom! Parents are invited to have coffee and learn about our program while the children are engaged in lots of fun! Membership is not required, but advance registration is to mser@adatshalom.org or 248-626-2153. Have a child entering grades 1-7 in the Fall? Have an older child? Interested in having him or her shadow for a morning? Children begin in our Learning Community in many grades. While some have attended other programs, for many this is their entry point into formal Jewish education. We will happily make arrangements for your child to check out our program while you have your questions answered! Contact mser@adatshalom.org or call 248-626-2153. Sink into a good book! Engage with Israel! 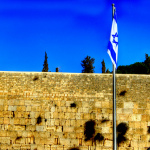 Go to Israel with Adat Shalom! Sink into a good book! It’s winter, and time to curl up with a good book. Jewish learning has always centered around books — after all, we are the “People of the Book,” and there is no dearth of good reading material out there – but sometimes all we want is a short story! Criminal Kabbalah: An Intriguing Anthology of Jewish Mystery & Detective Fiction, and Mystery Midrash: An Anthology of Jewish Mystery and Detective Fiction, both edited by Lawrence W. Raphael (Jewish Lights Publishers) are good fireside reading! Full of short stories that balance Jewish values and ethics, these books are engaging and you might learn something about kabbalah (Jewish mysticism) and Jewish texts along the way. If you’d like to take a peek before you order a copy, feel free to stop by my office! If you enjoy being part of a book club, make sure you check out either the Sisterhood Book Club or the Social Action Book Club that Rabbi Shere co-facilitates. Both groups meet regularly and have great facilitators! If you have a book club of your own and are looking for recommendations for a new Jewish-themed book to read, new members, or a space to meet, let me know and I’ll do what I can to facilitate this for you. At the end of January, I have the wonderful opportunity to meet with colleagues from around the country at the Jewish Educators Assembly’s annual conference in Baltimore. This year’s conference theme is Artzenu Engaging with Israel: New Realities / New Opportunities. In light of current events in Israel (including this past summer’s war, early elections, and worldwide media engagement with the conflicts of the Middle East), I’m excited to hear from experts in Israel Education about how to bring these conflicts and challenges to both the school-age classroom and the adult educational forum. Looking ahead to April, I’ll be leading a three-part Lunch & Learn specifically on Israel, and I’m looking forward to sharing what I’ve learned with all of you. Come and learn, and then plan to experience Israel yourself this coming winter! Make sure to hold February 10-22, 2016 open on your calendar! You will not want to miss this Adat Shalom Israel Experience with Rabbi Aaron and Ruth Bergman! Itinerary and price details are available here, as well as information on an optional Eilat New Year’s extension for your trip. Whether you’re traveling alone or with a spouse/partner, with a friend or a family, and whether you’ve been to Israel a hundred times or this is your first trip, you’ll experience something new when you join Adat Shalom on this amazing experience. Highlights include making your own chocolate at a boutique chocolatier in the Golan Heights, warming up at the Dead Sea after exploring the ruins at Masada, an uplifting and rejuvenating Shabbat in Jerusalem, a jeep tour, and more. The great Jewish sage Hillel, who famously wrote (in Pirkei Avot / The Ethics of the Fathers) “If I am not for myself, who will be for me? If I am only for myself, what am I? And if not now, then when?” could well have been talking about Jewish learning. There’s never a bad time to begin learning about something Jewish that speaks to you. Have children at home? Perhaps you want to learn how to make Judaism come alive on the holidays and Shabbat. We’ve got it covered with Foundations of Jewish Family Living, a program sponsored by Jewish Federation of Metro Detroit and housed right here at Adat Shalom Synagogue. Taught by master Jewish educator Ruth Bergman, the class meets on ten Sunday mornings throughout the year — and includes bagels too. Perhaps the Torah portion speaks to you each week. You might want to check out our weekly Torah Study, every Saturday morning at 9:45 a.m. Taught by clergy and educators, this engaging class is an opportunity to share your thoughts and learn something new. New participants are always warmly welcome, and you don’t need to read or understand Hebrew to come. You also don’t need to wear a suit! If you have a long lunch break, take advantage of Lunchtime Learning at Adat Shalom throughout the year. Rabbi Bergman kicks off the season with a three-part series on Conversion and Intermarriage on October 13, 20, and 27. The program is free and we provide drinks and dessert to go alongside your parve or dairy lunch. There is so much more – with new programs and classes being offered all the time. Check out our Adult Education page for more details, and keep checking back for monthly highlights.